Make this easy mask in just 5 minutes with items you can find in your kitchen. This mask is great for moisturizing your skin and great acne-prone skin. The oatmeal will absorb oils on your face, it's a natural anti-inflammatory, and is very moisturizing. Honey is a natural humectant, which will draw moisture from the air and into your skin. Honey is also a natural antibacterial, antiseptic, and antioxidant. Lemons are also a natural antibacterial, they are rich and vitamin c and citric acid. Which is perfect for those pesky blemishes and blackheads. And for an extra acne killer, add tea tree oil! Tea Tree Oil is my go to for when I get pimples, it works wonders. To make finely ground oatmeal, just throw your oatmeal in a blender or food processor. Mix all ingredients well. Apply to face and leave on for about 15 minutes. Be careful it can get a little messy because some of the oats may fall off. When you are rinsing mask off massage in a circular motion. 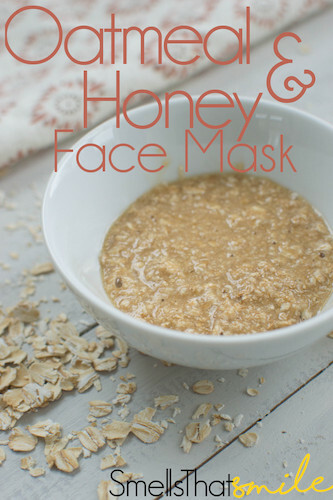 This will cause the oats to gentle exfoliate the dead skin on your face, leaving it feeling smooth and moisturized!